Do you have a certificate of deposit account that is due to mature this year? Are you expecting for another maturity period to invest your money in? Or are you a first timer in opening a time deposit account? If so, you may have already started your research on where to put your money in. Looking around can help you compare and decide which company to choose. These days, it’s hardly possible to find banks that offer high CD rates. Fortunately, credit unions offer better deals. Self-Help Federal Credit Union has some of the highest, most competitive rates in the country today. When you sign up for a term certificate from Self-Help FCU, you get to personalize your maturity scheme. Currently, their 1-year CD has an APR of 1.05%. Compare this with other credit unions and you’ll find that this figure alone is already competitive. For example, although it is much less than PenFed’s current rate of 1.16%, it’s much higher than three-fourths of a quarter of the listing for all credit union rates. All these rates apply to the standard type CD accounts, as well as to their special Green and Women and Children certificates. All accounts require a minimum deposit of $500 for opening. 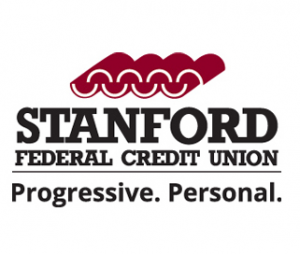 Self-Help FCU offers applications online. This provides for an easy, fast, and secure transaction. Once you’re approved for account opening, you will choose whether you want to receive your interest each month, or every three months. You can also opt for these dividends to be added to your account so you’ll have plenty of money to withdraw thereafter. You will take on the APY on the time you open the account. Since this figure changes daily, better act fast if you want a certain rate. If you do an early withdrawal, you will be fined the amount that is equivalent to 90 days interest, given your term is less than a year. For more than one year terms, interest worth 180 days will be charged. Aside from the standard term certificate, there are two other special arrangement which are catered to your different needs. These are the Women and Children Certificate and the Green Certificate. The Women and Children CD account lets you create the opportunities for women to venture into. These may be in terms of homes, nonprofits, businesses and financial products. This is where the money you invest in will be used for. On the other hand, the Green Term certificate will let you support projects for sustainable development. Your invested amount will be used for environmental businesses, recycling and other Earth-friendly measures. By choosing these terms, you are not only making a profit for yourself, but you’re also reaching out to a greater audience as well.